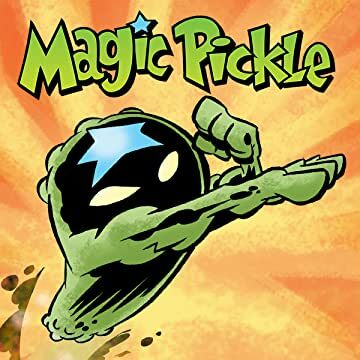 Meet the Magic Pickle, a dilly of a superhero who's fighting the food fight against a brotherhood of evil fruits and vegetables who are plotting to take over the world! 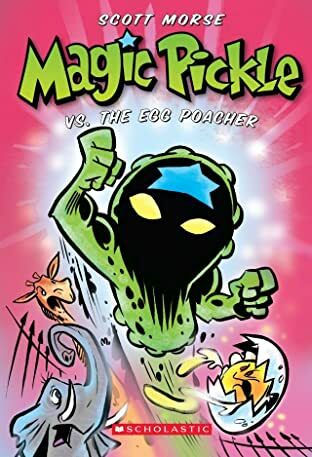 The full-color graphic novel version of the Magic Pickle legend! 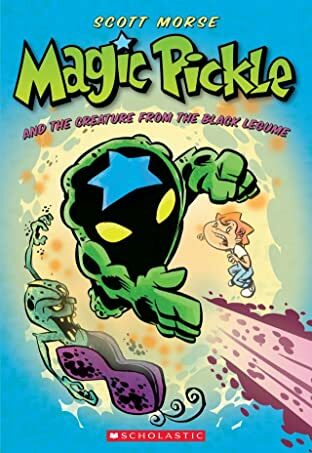 Magic Pickle, or "Weapon Kosher," as his creator, Dr. Jekkel Formaldehyde likes to call him, is the product of a top-secret U.S. Army lab. 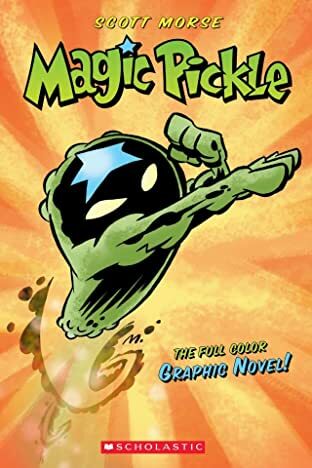 Unfortunately, the 1950s experiments to turn vegetables into soldiers went wrong. 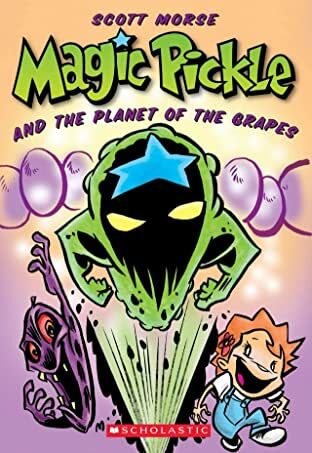 Sure, they created Magic Pickle, the flying dill soldier, but they also let loose a bunch of rotten vegetables, like the Romaine Gladiator, Chili Chili Bang Bang, the Phantom Carrot, and Peashooter. 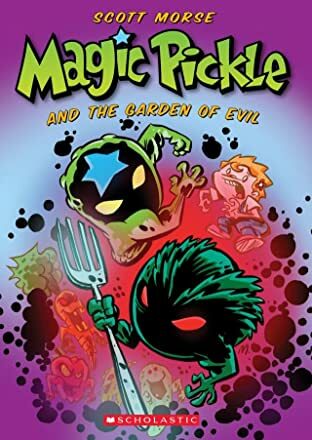 This Brotherhood of Evil Produce is out to take over the world and they've started with art museum heists and bank robberies.